Bila update Mac OS X (OS X, macOS) terkini akan diterima? Semua keluaran Apple yang digunakan pasti akan keluar notification bagi mengemaskini Mac OS X (OS X, macOS) kepada yang terkini. Apakah Mac OS X (OS X, macOS) yang terkini? Ada limit ke untuk update produk Apple saya? Setiap keluaran Apple mempunyai limit bagi kemaskini Mac OS X (OS X, macOS) yang diguna pakai. 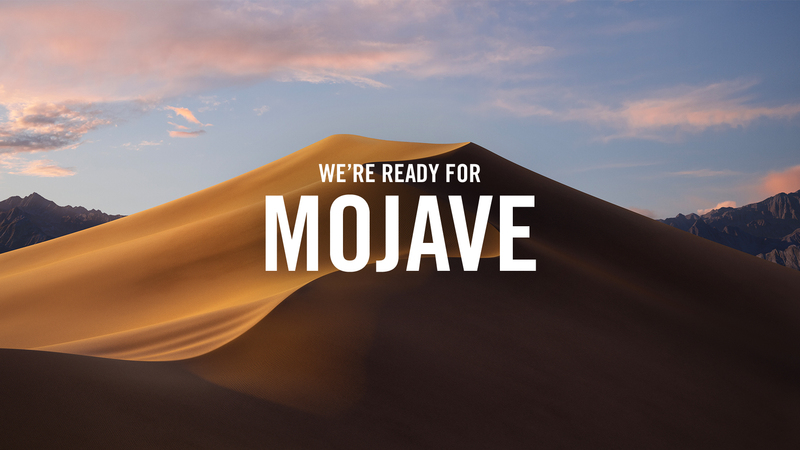 Apa akan jadi bila saya upgrade Mac OS X (OS X, macOS) ke versi terkini seperti Mojave? Jika anda update ke Mojave tetapi Apple Computer yang anda gunakan tidak mampu menyokong Mac OS X (OS X, macOS) tersebut, banyak konflik yang akan berlaku samada dari segi software mahupun hardware. Jom lihat samada Apple Computer anda support atau tidak untuk kemaskini Mac OS X (OS X, macOS) ke Mojave. 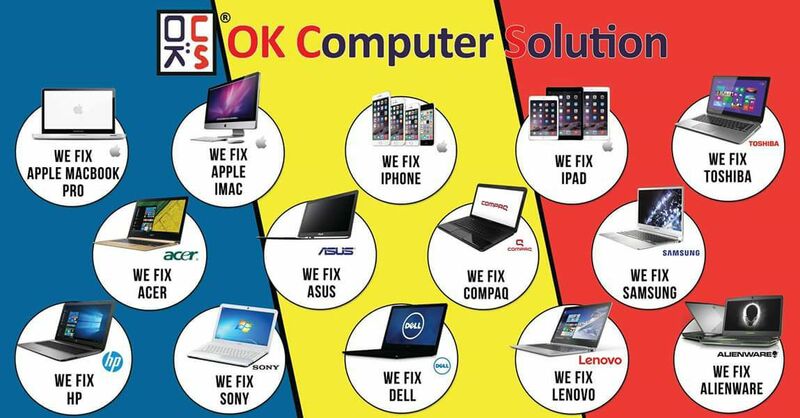 iMac "Core i5" 2.7 21.5"
iMac "Core i5" 2.9 21.5"
iMac "Core i7" 3.1 21.5"
iMac "Core i5" 2.9 27"
iMac "Core i5" 3.2 27"
iMac "Core i7" 3.4 27"
iMac "Core i3" 3.3 21.5"
iMac "Core i5" 3.4 27"
iMac "Core i7" 3.5 27"
iMac "Core i5" 1.4 21.5"
iMac "Core i5" 3.5 27"
iMac "Core i7" 4.0 27"
iMac "Core i5" 3.3 27"
iMac "Core i5" 1.6 21.5"
iMac "Core i5" 2.8 21.5"
iMac "Core i5" 3.1 21.5"
iMac "Core i7" 3.3 21.5"
iMac "Core i5" 2.3 21.5"
iMac "Core i5" 3.0 21.5"
iMac "Core i5" 3.4 21.5"
iMac "Core i7" 3.6 21.5"
iMac "Core i5" 3.8 27"
iMac "Core i7" 4.2 27"
iMac Pro "8-Core" 3.2 27"
iMac Pro "10-Core" 3.0 27"
iMac Pro "14-Core" 2.5 27"
iMac Pro "18-Core" 2.3 27"
MacBook "Core M" 1.1 12"
MacBook "Core M" 1.2 12"
MacBook "Core M" 1.3 12"
MacBook "Core m3" 1.1 12"
MacBook "Core m5" 1.2 12"
MacBook "Core m7" 1.3 12"
MacBook "Core m3" 1.2 12"
MacBook "Core i5" 1.3 12"
MacBook "Core i7" 1.4 12"
MacBook Air "Core i5" 1.7 11"
MacBook Air "Core i7" 2.0 11"
MacBook Air "Core i5" 1.7 13"
MacBook Air "Core i5" 1.8 13"
MacBook Air "Core i7" 2.0 13"
MacBook Air "Core i5" 1.3 11"
MacBook Air "Core i7" 1.7 11"
MacBook Air "Core i5" 1.3 13"
MacBook Air "Core i7" 1.7 13"
MacBook Air "Core i5" 1.4 11"
MacBook Air "Core i5" 1.4 13"
MacBook Air "Core i5" 1.6 11"
MacBook Air "Core i7" 2.2 11"
MacBook Air "Core i5" 1.6 13"
MacBook Air "Core i7" 2.2 13"
MacBook Pro "Core i5" 2.5 13"
MacBook Pro "Core i7" 2.9 13"
MacBook Pro "Core i7" 2.3 15"
MacBook Pro "Core i7" 2.6 15"
MacBook Pro "Core i7" 2.7 15"
MacBook Pro "Core i5" 2.6 13"
MacBook Pro "Core i7" 3.0 13"
MacBook Pro "Core i7" 2.4 15"
MacBook Pro "Core i7" 2.8 15"
MacBook Pro "Core i5" 2.4 13"
MacBook Pro "Core i7" 2.8 13"
MacBook Pro "Core i5" 2.8 13"
MacBook Pro "Core i5" 2.7 13"
MacBook Pro "Core i5" 2.9 13"
MacBook Pro "Core i7" 3.1 13"
MacBook Pro "Core i5" 2.0 13"
MacBook Pro "Core i7" 2.4 13"
MacBook Pro "Core i5" 2.3 13"
MacBook Pro "Core i7" 2.5 13"
If your Mac isn't listed above, it isn't compatible with macOS Mojave. Specifically, the following Macs are compatible with macOS High Sierra. However, just because a Mac runs macOS High Sierra does not mean that it is compatible with hardware accelerated HEVC. MacBook "Core 2 Duo" 2.26 13"
MacBook "Core 2 Duo" 2.4 13"
MacBook Air "Core 2 Duo" 1.4 11"
MacBook Air "Core 2 Duo" 1.6 11"
MacBook Air "Core 2 Duo" 1.86 13"
MacBook Air "Core i7" 1.8 11"
MacBook Air "Core i7" 1.8 13"
MacBook Pro "Core 2 Duo" 2.4 13"
MacBook Pro "Core 2 Duo" 2.66 13"
MacBook Pro "Core i5" 2.4 15"
MacBook Pro "Core i5" 2.53 15"
MacBook Pro "Core i7" 2.66 15"
MacBook Pro "Core i5" 2.53 17"
MacBook Pro "Core i7" 2.66 17"
MacBook Pro "Core i7" 2.8 17"
MacBook Pro "Core i7" 2.7 13"
MacBook Pro "Core i7" 2.0 15"
MacBook Pro "Core i7" 2.2 15"
MacBook Pro "Core i7" 2.2 17"
MacBook Pro "Core i7" 2.3 17"
MacBook Pro "Core i7" 2.5 15"
MacBook Pro "Core i7" 2.4 17"
MacBook Pro "Core i7" 2.5 17"